art of the day. bugatti factory. Joe Perricone has been painting since childhood and has been restoring vintage cars for over 35 years. Joe started painting cars when he had a desire to do 4 paintings of the Vanderbilt cup races and never looked back. 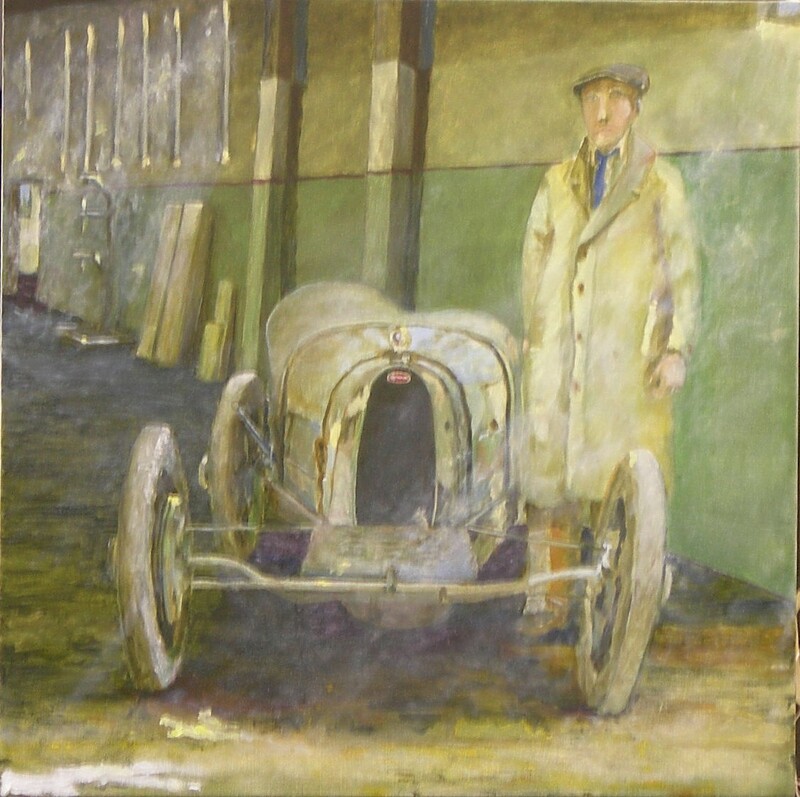 He paints oil on canvas of cars of the 20’s and 30’s, mostly of races lost in time and long forgotten. The subject matter is of the pits, action in corners and break downs on the track. Joe’s work is in the collection of Hutchinson Co. and many other private collections, he has paintings hanging next to the great automotive painter Peter Helck amongst others. Joe’s work is an expressionist remembrance of the work done in the 1860’s through the 1890’s with abstract line for balance and perspective and a distinctive color palette.